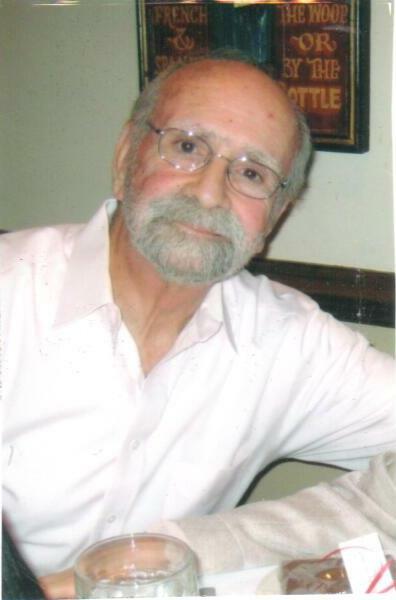 Ronald Polsky, 75 of Mountainside, New Jersey passed away on April 9th, 2019 with his family at his bedside. Ron was born in Philadelphia on November 8th, 1943 to Jack and Frieda Polsky. He attended Haverford High School and Temple University . He enlisted in the military , serving in the US Army Reserves. He received a medal as a rifle marksman. In his early 20's, Ron and a couple of his high school buddies drove out to California where he lived for the next 25 years before moving back to the East Coast in 1993. Ron was a " Fashionist" both professionally and personally. Most of his career was spent in the garment industry . He was in charge of the men's division at Spartan Industries which at that time was the largest apparel importer. The west coast office was located at the California Mart in Los Angeles. His territory included 11 western states. Additionally, Ron had been a salesperson for Chemin de fer denim jeans and for a junior women' s sportswear company also in the Los Angeles region. Because Ron connected easily with people and had a genuine passion for the business, he was recognized as a gifted salesman and a great mentor for upcoming apparel sale representatives. Ron was a trendsetter of fashion. He always " dressed to the nines " or should say "tens." He loved to shop; had excellent taste and family knew he would comment on style and on one's personal attire . He was a "male model" for Ralph Lauren only Ralph did not know it. Sales Associates in the Polo Department at Lord and Taylor knew him well. Additional interests included classic and luxury cars and attending car shows; a tennis enthusiast who enjoyed attending or watching on TV international tennis open championships; a collector of designer watches (a horologist ); canes; hats and caps. His cap collection included not only POLO but also caps from places where he travelled. Ron as well loved to eat and so enjoyed family gatherings, holiday celebrations as well as eating out and exploring a new restaurant. He also enjoyed cooking which probably began during his army days since he was assigned to kitchen duty as a cook. He was used to preparing large meals. He had a knack for seasoning foods and family favorites included his charcoaled grill hamburgers and lamb chops. He enjoyed travelling both in the US and abroad ; attending movies especially the Oscar contenders, Broadway plays and concerts. He enjoyed watching movie classics. Two of his favorites were "Casablanca" and "The Quiet Man." His TV line up of favorite shows included NCIS and even the reruns. Ron had many friends. He was funny, fun-loving, genuine and loyal. Many of his friends go as far back to his childhood and teen years. This past December, Ron celebrated 25 years of marriage with his wife Gen. Their wedding song sang by Whitney Houston 25 years ago and this past December was, still and always be "I will always love you." Ron is predeceased by his parents. He is survived by his brother Herb from Woodland Hills, California; Ron's wife, Genevieve (nee Bahrt ); twin daughters Cindy Kehagiaras (son-in-law Andy) from Hermosa Beach, California and Carrie Rosenblum (son-in -law Gregg) from Carlsbad, California. He also has four grandchildren: Aidan (11); Demetri (11); Ella (9) and Georgia (8). Ron is a brother-in-law and uncle to many nieces and nephews. He recently became a grand uncle. Ron so loved and cherished his family and longtime friends. Over the past several weeks, he frequently told this to his wife and that he wanted to reach out and was able to talk to each one of them one more time. He knew he was blessed to have loving, caring family and friends on both coasts and in many states in-between. Ron you are and always will be loved and missed. In lieu of flowers, donations in Ron's memory may be made to Disabled American Veterans, Alzheimer's Association or to a local animal shelter of your choosing.